The Incredible Farm is all about getting outdoors and learning about the world around us. We feel that too many young people spend their time cooped up indoors, staring at computer screens and telly boxes and that it’s time to get outside and get exploring! But our passion for helping people get muddy and trying new food fresh from the ground doesn’t stop at the farm gates, oh no. As a social enterprise we believe there’s no point in doing anything if you keep it all to yourself. That’s why we run a range of different schools projects; from giving interactive assemblies about where food comes from, trying some of our tasty farm produce, and talking about why it is important to think sustainably about food, to full scale growing projects where we work with young people to develop growing spaces in their school and help them explore the world of food growing and permaculture. 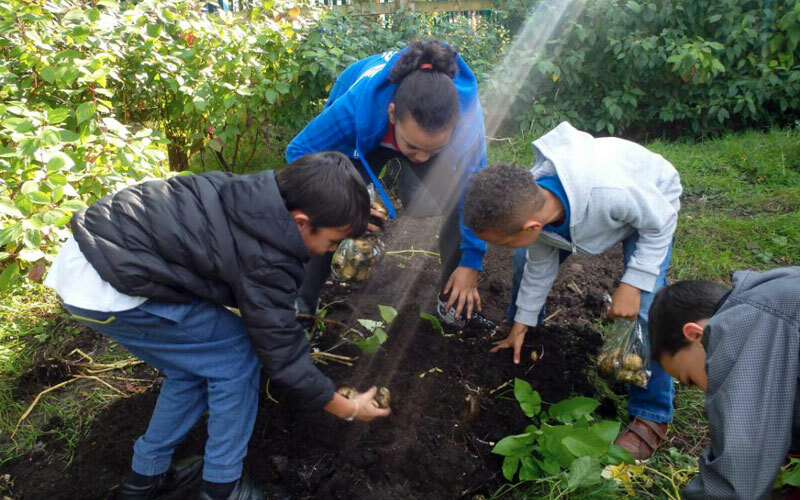 All schools projects are bespoke to the school with growing workshops linked to the national curriculum, perfect for engaging young people of all ages about food growing and sustainability.